On Wednesday, 18th December 2013, it was time again for the (since last March) monthly recurring TFR event. 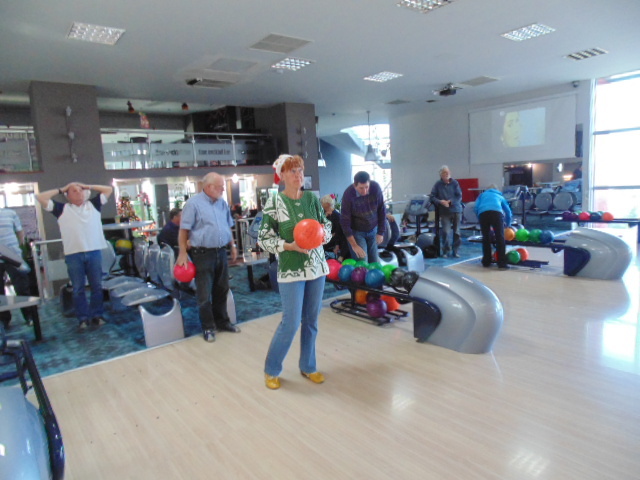 Members of the club met once more at the King’s Pin Leisure Centre in Kyrenia for “The Bowling Cup of the Nations”. But nevertheless Brad, the organizer of all of the bowling events, put together three squads that competed against each other in a friendly tournament. The German team had this time to be supplemented by two British players, so it was in fact more a bi-national than a German team. The team Scandinavia consisted of players from Sweden and Norway, the UK team was purely British. Like all the times before it was once again great fun, every “strike” of a team was cheered wildly. After the end of the sportive part of the event, Brad as always worked out the results. Winner by a wide margin this time was the German/British squad, followed by Scandinavia and the UK. The best female scorers were Margareta, Sweden (1) – Kath, UK (2) – Lena, Sweden (3). Among the male bowlers the ranking was Brad, UK (1) – Ken, UK (2) – Tommy, Norway (3). 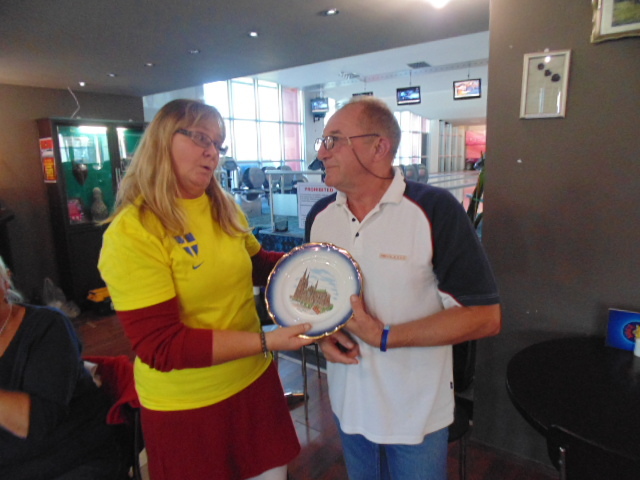 Renate from Germany was quickly promoted as the leader of the winning team and received the plaque. Since it was the last competition of the year 2013, Brad distributed to each team additional prizes in the form of decorative plates. The first bowling event in the New Year is planned for Wednesday, 15th January 2014.